And most importantly our hearts. CATERING NOW AVAILABLE! ORDER YOUR KIMBAP PLATTER TODAY! Sarah and Chef Lee first met in 2010 while cutting their teeth in the food industry in Seoul. Not long after, they discovered their shared passion - Korean food. Together they toured the countryside of Korea, seeking out authentic flavors, while researching the history. Chef Lee then opened his pioneering farm-to-table restaurant Bean Table. When Sarah joined, they spent countless hours creating their own interpretation of Korean fare, even making their own makgeolli (Korean rice wine)! Their collaboration was featured on an episode of Arirang TV's Semi-Permanent show. Next, they brought their passion to New York. In 2014, Sarah and Chef Lee teamed up to hold the first Korean gluten-free pop-up in Williamsburg (as part of The BacKitchen series). Korean food isn't just the cuisine itself. It is the memory that is passed along down generations. Now Sarah and Chef Lee bring their childhood favorite to you - Kimbap. Chef Lee hails from Seoul, South Korea. His background includes working with celebrity Chef Edward Kwon (Seoul), to opening his very own farm-to-table restaurant Bean Table in Seoul, which featured his organic, non-gmo house-made tofu. At the Institute of Korean Royal Cuisine, Chef Lee was an instructor in the foreign program. In 2014, with his extensive experience in Korean Buddhist Temple Cuisine, he traveled to New York with Buddhist monk 'Jeokmun' and gave presentations throughout the city. Currently, he is a celebrity chef on popular food & radio programs in Korea such as The Fridge, CookKing Korea, National Cook Team, Tasty Road, Slim Lunch Box, Crazy Market, Thursday Eat Out, on the major networks, such as SBS, MBC, JTBC, EBS, Olive TV, and Arirang TV. 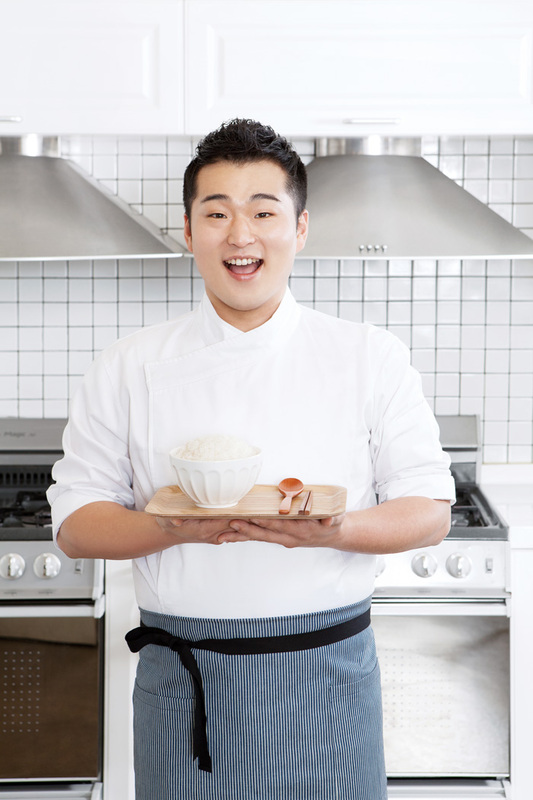 Also, Chef Lee is a partner in the Be a Meal bakery franchise, with locations throughout Seoul. Originally from Chicago, Sarah now resides in Brooklyn, New York. Twelve years ago, she left the design industry to explore opportunities in food and has never turned back. From cherished childhood memories of the family's Korean Ginseng farm in the Midwest, to the heartfelt recipes which enlivened her spirit, Sarah's passion for food comes from her best friend and mentor, to whom she attributes 'everything food' - her mother. Sarah founded Hanuri Catering in Chicago, worked as celebrity chef Edward Kwon's Global Marketing Director (Seoul), expanded Kyotofu's market as Catering and Events Director (Seoul and New York), generated new sales for restaurant Barn Joo directing events (New York), and joined the Star Chefs events team to coordinate the International Chefs Congress 2015 (Brooklyn). Her acclaimed food blog Seoul in the City has been featured in international food and travel magazines. On Lunar New Year 2016, Sarah and her mother were featured in a Korean food documentary, which aired nationally in Korea on KBS. *Thanks to Hyunmin Choi for our logo and design! Why Kimbap Lab? Click Here for the Kimbap Lab You Tube Video! Kimbap Lab X Lucky Rice Pop-Up at Whole Foods-Gowanus! Chef Wonil and Sarah Lee’s First ‘The Back Kitchen’ All Gluten-Free Korean Pop-Up in Williamsburg!